With my own funding, I'm about to embark on an exploratory visit to Palu on Sulawesi. I'm eager to see the conditions there several months after the earthquake and tsunami that ripped the land apart. I also want to learn about the ways in which the inhabitants of Palu themselves are re-claiming community and to observe how the benefits from outside partnerships and assistance have helped them. The goal of my trip is to both document local perspectives on the community's current and future well-being, and share those perspectives and insights with the world through social media and YouTube. My hope is that by listening to those most directly impacted by this disaster, we can harness outsiders' good will and resources and direct them in ways that are most constructive for the people of Palu. $5,000 is the absolute bare minimum for me to bring a team of videographer & ethnologist/interviewer who are all donating their time. I will be purchasing my own ticket since I have to be in Indonesia anyways for a family matter. $4,000 will cover international and local travel, lodging, & food, as well as the cost of hiring local assistants in Palu. We aim to put as many resources into the local community and economy as possible. As I have mentioned above, I will be going, regardless of how much is raised, with my personal funding. Any remaining money will be used for post-production expenses, such as photo & video editing and planning for the next mission. I appreciate the fact that you’ve spent the time to read about our proposed project! We are determined to make this project happen, and understand there will be many risks and challenges. 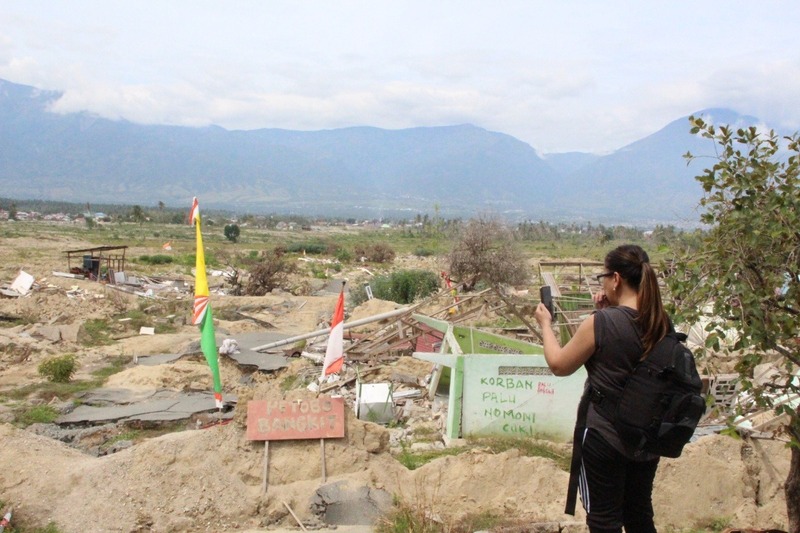 With your help, and by standing together as a community, we believe that we can spread awareness of Palu’s disaster and of its future – what the people there are already doing and what we might contribute constructively to their efforts -- with the whole world. I was born and raised in Indonesia. My parents are both from Sulawesi, one of Indonesia's thousands of islands. Last month, a 7.5 magnitude earthquake and then a tsunami devastated an area of that island. I now live in the U.S., but have maintained strong ties to family and community in my homeland. When the earthquake and tsunami hit, I spent days -- which, at the time, seemed like an eternity -- wondering whether my uncle and his family were alive. I still feel the fear and uncertainty in my bones, and long to be on the ground there, hugging those I know and love, as well as others who need a shoulder to cry on, or who need someone to recognize their courage. 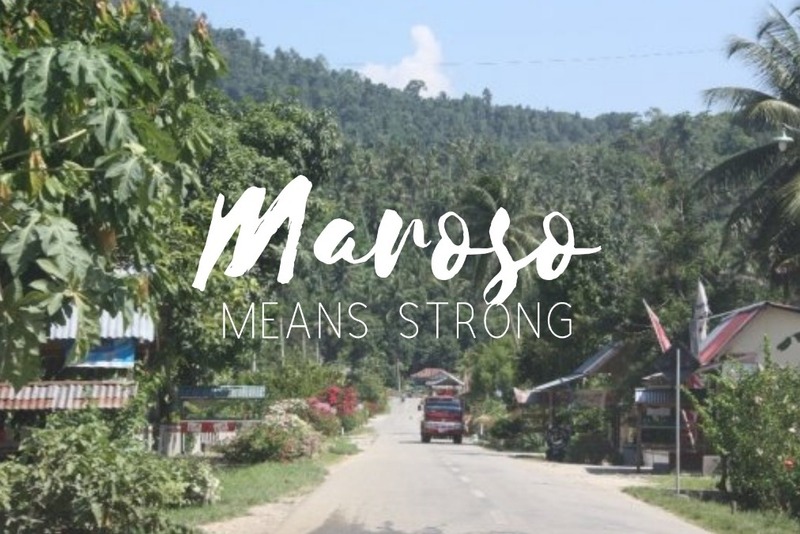 Maroso means “strong” in Pamonian, my native language. (Indonesia has hundreds of ethnic groups, each with its own language.) This project will be for the people of Palu, whose strength in the face of disaster is remarkable. I want them to know that the world is partnering with them as they move through this tragedy. The project will be a bridge between those in Palu and those around the globe open to learning and engaging. We appreciate all of your help and support. Stay tuned for the reporting session invite. Terima Kasih! Thank you all! Thank you all! We are closer to reach 50% of our goal!